Rhythm games aren’t just about hitting the correct buttons in time to music – any fan of the genre can attest to that. 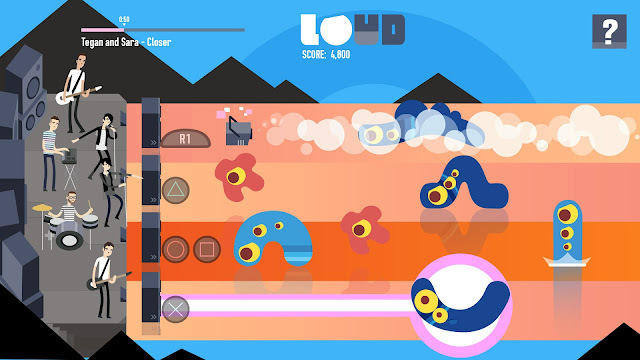 Loud on Planet X is perhaps the best example of doing a rhythm game right, combining simple game design with an exuberant sense of style to deliver one of the most appealing western rhythm games I’ve played. 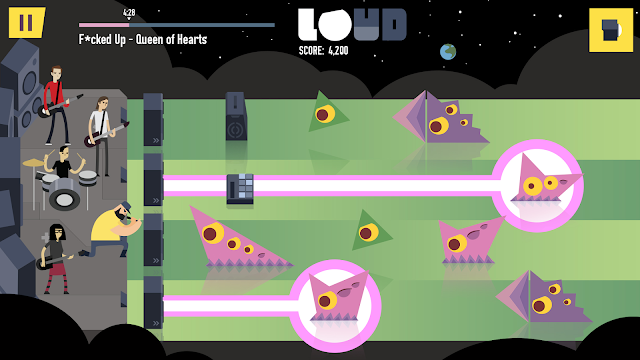 Developed by Pop Sandbox as a collaboration with the Toronto indie music scene, Loud on Planet X is a fascinating dive into indie music culture. Related reading: Another rhythm game that does a good job with indie music is Superbeat Xonic. Matt's review. Most striking about this game is its advertising campaign, which looks a series of posters for a really out-there music festival. The headliners are well known and are fantastic artists in their own right, with big name performers such as Tegan and Sara, LIGHTS and Purity Ring leading the charge. The genres on offer are diverse but all very modern, with synthpop, hip-hop and alternative rock being the best represented. Each artist gets two of their songs in the game along with an adorable cartoon rendition of themselves. Loud on Planet X is a fantastic way to get high quality music out to a new audience, so I’m glad that Pop Sandbox and the featured bands were willing to make the collaboration happen. The gameplay is best described as a hybrid of Guitar Hero and a tower defence. Your band is performing on the left while evil aliens will attempt to storm the stage, appearing at the right of the screen and moving synced to your music. These aliens conveniently organise themselves into four lanes, and you can shoot lasers down each lane by tapping it in time to the song. If an alien reaches your speaker it’ll damage it and several hits will render it defunct and unable to shoot – it can be repaired over time, but if an alien hits your defunct speaker the game is over. The result is a game about juggling your lanes and making sure you’re defeating enemies effectively while keeping on beat. Functionally it’s Guitar Hero except you’re deciding where the notes should be, but in game it feels like something unique and refreshing. To help with the defence effort, you have access to powerups which temporarily affect the flow of a lane, such as slowing all enemies or firing the speaker automatically. Collecting enough points also allows you to use a screen-clearing super move which is useful in a pinch. Your score is determined by how many enemies you kill, but your hits are doubled if you are particularly precise with your rhythm. Unfortunately, there’s no combo system or the like, meaning that your end game high score doesn’t feel like as much of an achievement as it could have been. The aliens attacking you vary depending on the song and come in distinct varieties which mix up the way you play the game. For example, some enemies will take multiple hits but will stagger when hit, allowing you to focus attention on another lane. Others can become temporarily invulnerable, obscure your vision or split into smaller enemies upon defeat. This helps to ensure that the gameplay is not mindless and there is an element of strategy – randomly tapping lanes won’t get you very far on the higher difficulties. None of Loud on Planet X’s success would be possible if it weren’t for a fantastic visual direction. The art style is eye catching with soft block colours representing everything from the band, the environment and the enemies. An alien’s health is represented by how many eyes they have open, eliminating the need for garish health bars, and everything moves in sync with the rhythm to help you along. Every band’s super move is also visually distinct and adds to their personality overall. The art is family friendly but the music almost definitely isn’t (it’s not thematically explicit but can be very intellectual). If I had to make one complaint, it’s that the rhythm never asks you to follow anything more complex than quavers in 4/4 time, which can leave the gameplay feeling a bit passive overall. 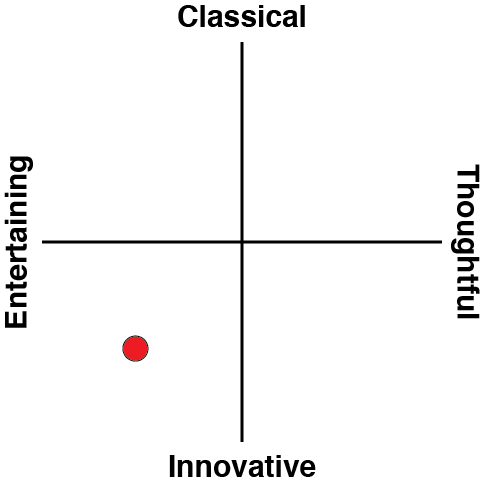 Anyone who can tap along to the beat will have no problems with Medium difficulty, and I even had no trouble with Hard. 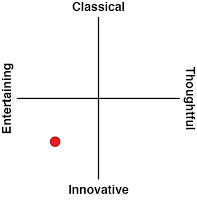 After each level you’re given up to three stars based on your performance but the top scores rely heavily on the double score mechanic for precisely timed notes; the result is that the game only rewards you for being very good at keeping to 4/4 time. There’s a lot of missed opportunities in the song too for offbeats, swung rhythms and rests which could have enriched the gameplay. This isn’t a problem if you treat Loud on Planet X as a way to enjoy music, but if you’re seeking a challenge you might be better suited to something else. Related reading: It wouldn't be an article about rhythm games on DDNet without a mention of Hatsune Miku. Matt's review of the latest in that particular series. 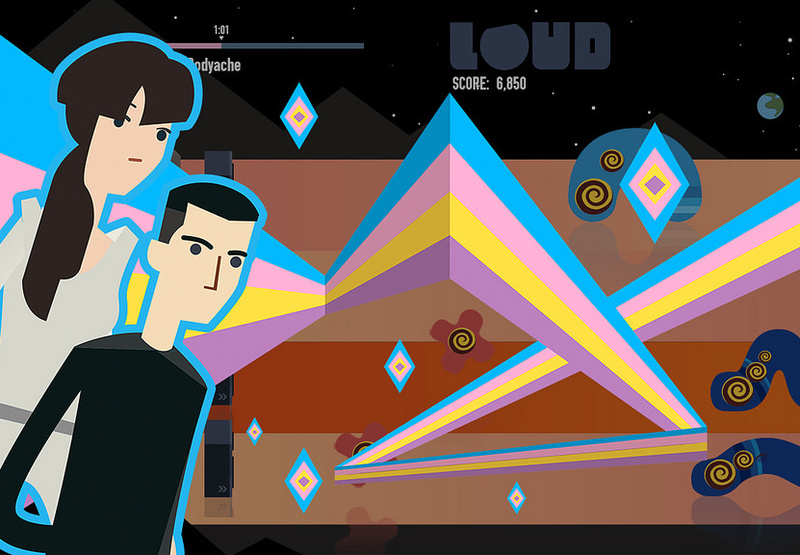 Loud on Planet X is perhaps the video game version of a music festival. It takes big name acts and up and coming talents and puts them on stage, accompanying their music with a solid rhythm game which doesn’t distract from the listening experience. A lack of complexity holds back the game’s replay value and competitive edge, but the sense of style more than makes up for it. Pop Sandbox are actively bridging the gap between music and video gaming and the developers’ love for both mediums is immediately apparent. Loud on Planet X is a celebration of the vibrant culture that is the indie music scene and anyone with a passing interest in any of the featured artists should definitely look into this one.